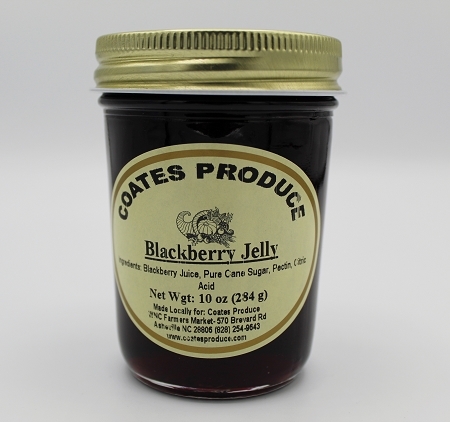 Our Blackberry Jelly is made with local blackberries in small batches and hand stirred. All you need is biscuits and butter. Ingredients: Blackberry juice, Pure Cane Sugar, Pectin, Citric Acid.